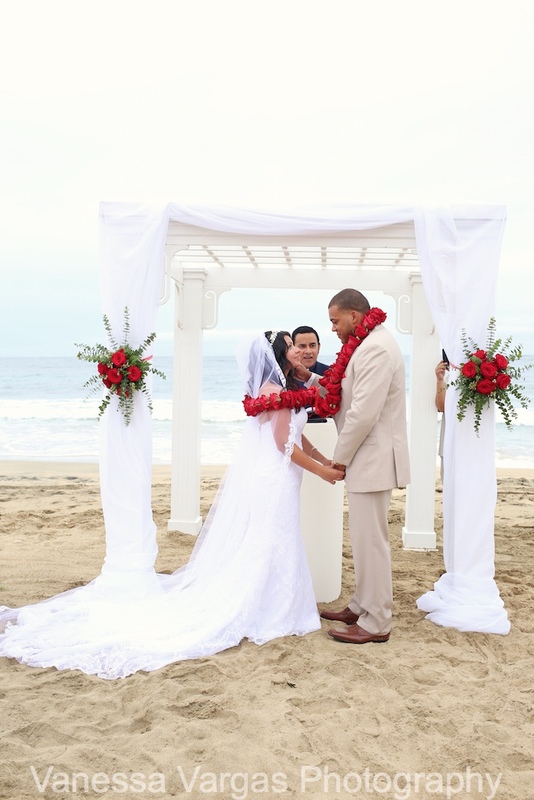 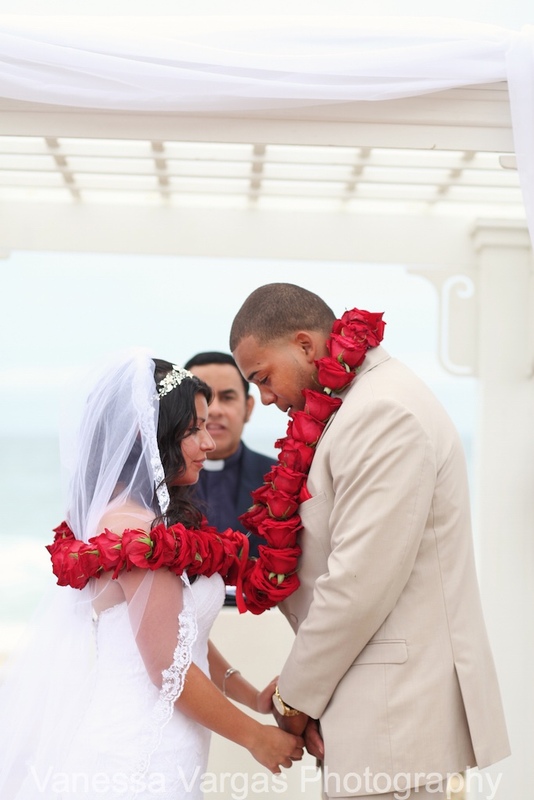 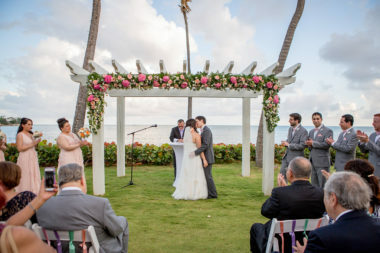 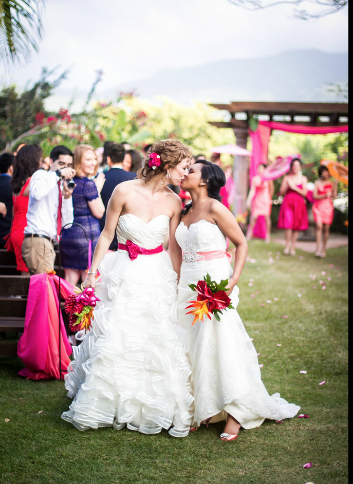 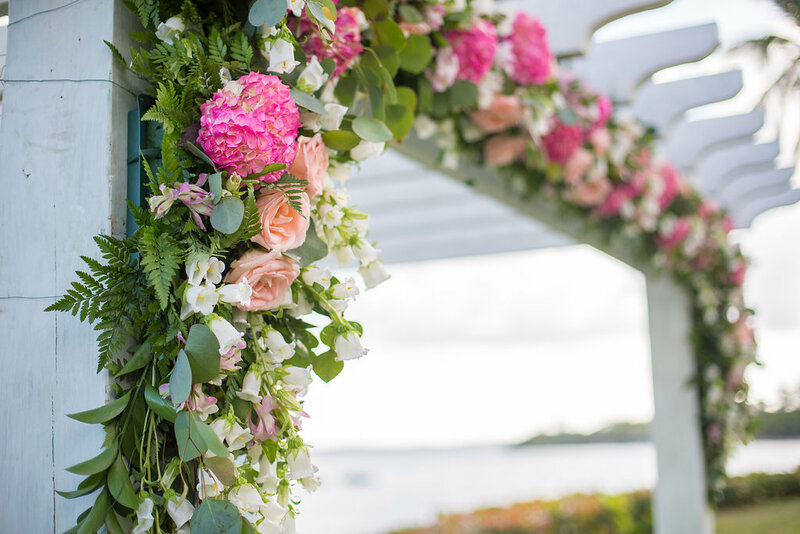 There are many ceremony options for you to choose from: pedestals w/ flowers on top can be placed on either side of you & your groom; 2 post arch w/draped fabric & flowers; 4 pole canopies w/draped fabric & flowers; large vases on ground with tall floral designs. 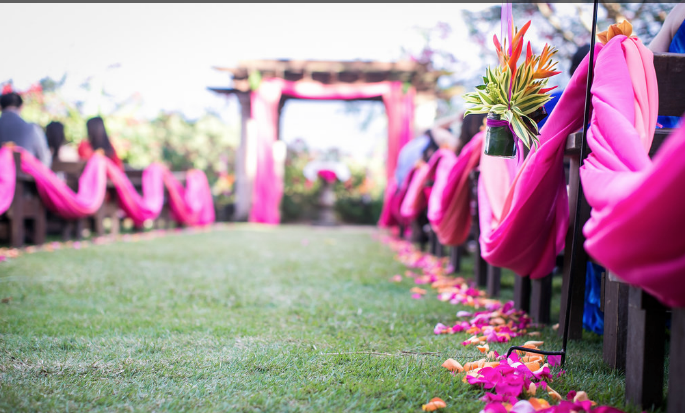 Some couples like to drape fabric or hang small flower designs from the chairs or decorate the aisles w/cylinders or lanterns. 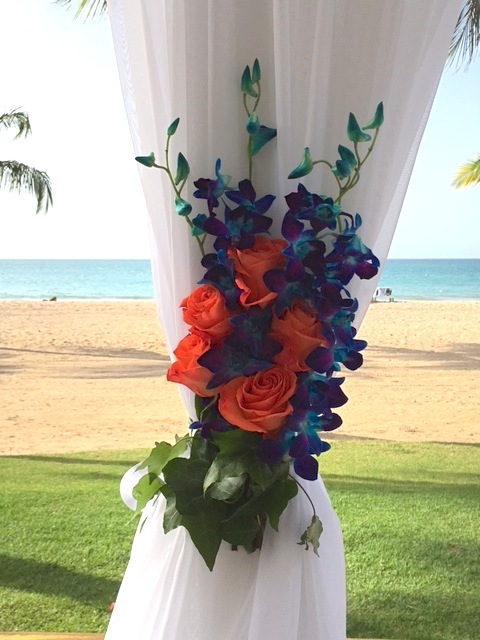 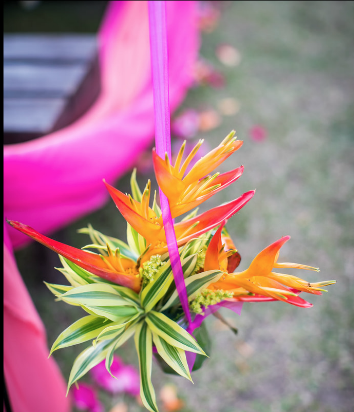 Whatever your desire, we create ceremony decor to suit your chosen venue and wedding style. 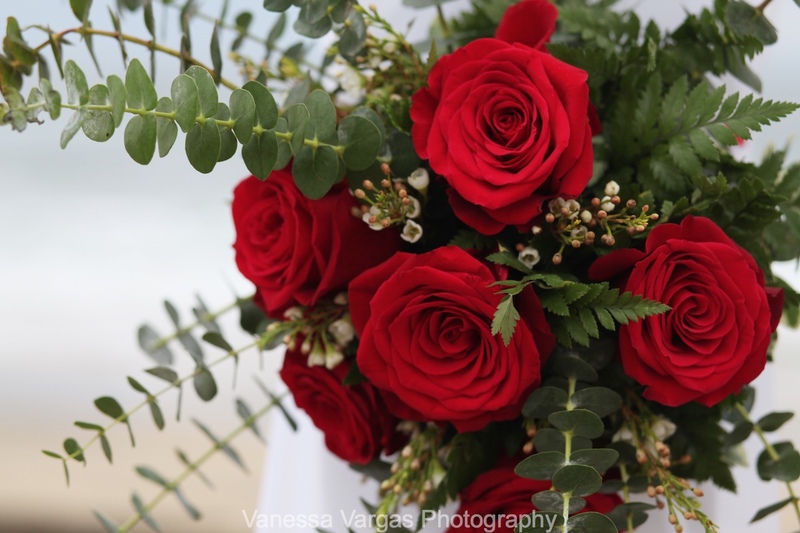 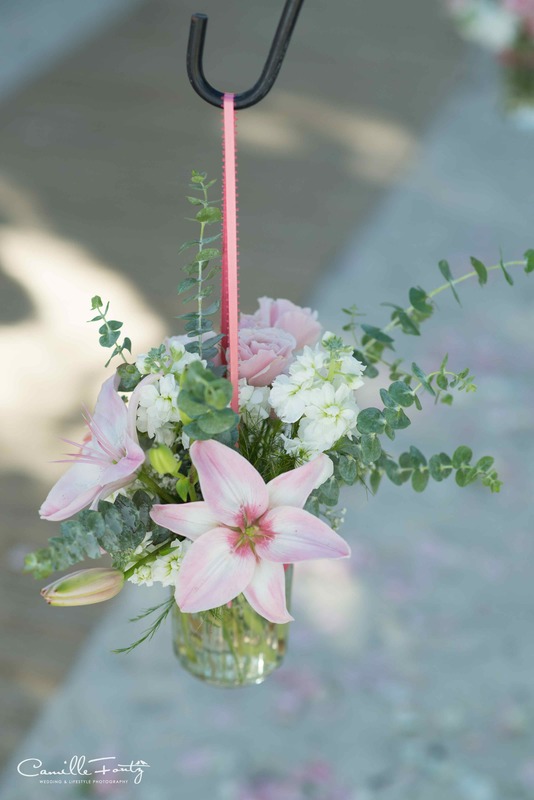 Price varies depending on how simple or elaborate the set up is and the type and quantity of flowers in the design. 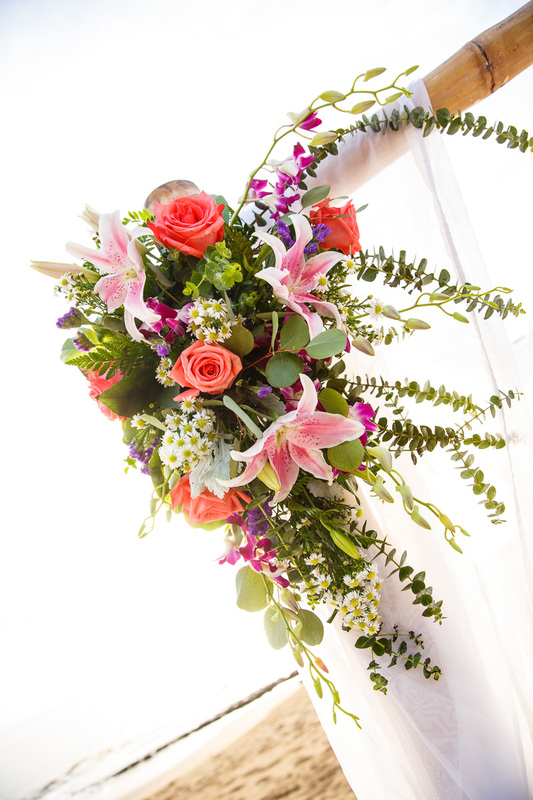 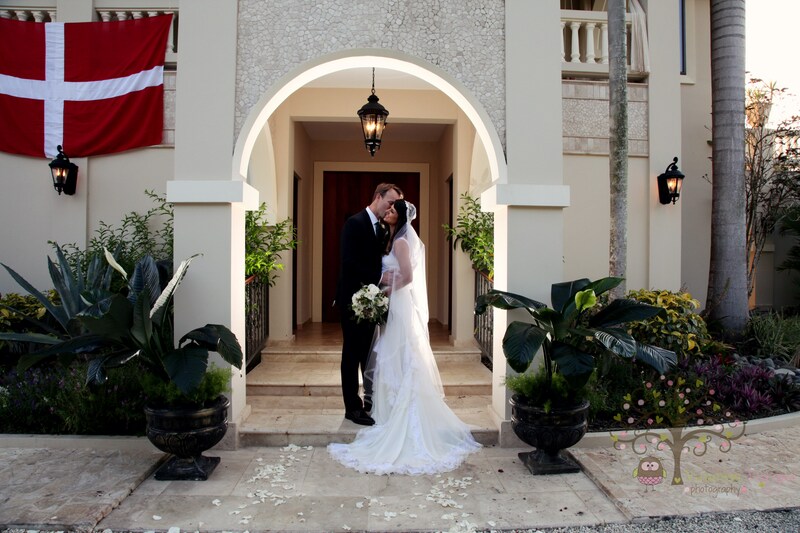 Tell us about your wedding plans and we will create a budgetary quote for you.